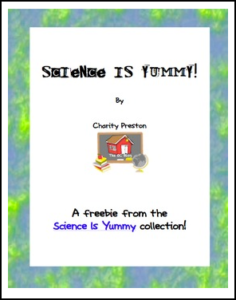 This one page science experiment is part of the Science Is Yummy Experiment Collection. It includes one experiment that uses food, along with matching vocabulary words. Enjoy!